This guy. What is it about baby animals that are so darn cute? Not far from our home is a lovely farm that allows visits during lambing season. There’s something about a cool spring day and new babies in the world that makes me feel connected to all that is good. I love to look at a baby lamb and think about how that little one will grow and grow and her fleece can be spun into yarn that can find its way to my crochet hook. I can close my eyes and almost feel the yarn move through my fingers along with the natural oils and bits of straw that sometimes find its way into natural fibers. And then the smells and sounds remind me that I am in a barn with a lovely little one just starting out in the world and I am back where I started…at a farm..with a lamb..and my camera. Let’s talk about yarn fiber and the different types of yarn fiber available. As crocheters and knitters we have many fiber choices for our projects. Different fibers affect the drape and feel of the finished project as well as care and laundering. Baby or child items that require frequent washing need yarn that is strong and machine washable. There are three categories of yarn fibers: animal, plant and synthetic. Animal types of yarn fiber include wool, alpaca, silk, cashmere, mohair and angora. They are somewhat elastic and breathable so they trap air and create warmth. Wool is the most common and technically refers to any fiber shorn from an animal. But crocheters and knitters tend to think of wool as coming from the fleece of many types of sheep. Just like human hair wool can be coarse or fine, curly or straight. It can vary between types of animals or even between one animal and another dependent on age, location and where the wool grew on its body. It is warm, insulating and breathes well and is very absorbent. In fact, wool can absorb up to 30% of it’s own weight without feeling damp! Wool can often be more expensive and good quality wool is best found at a specialty yarn shop, though you can sometimes find it at a chain store. Wool can be soft–such as merino wool from merino sheep or it can be coarser. 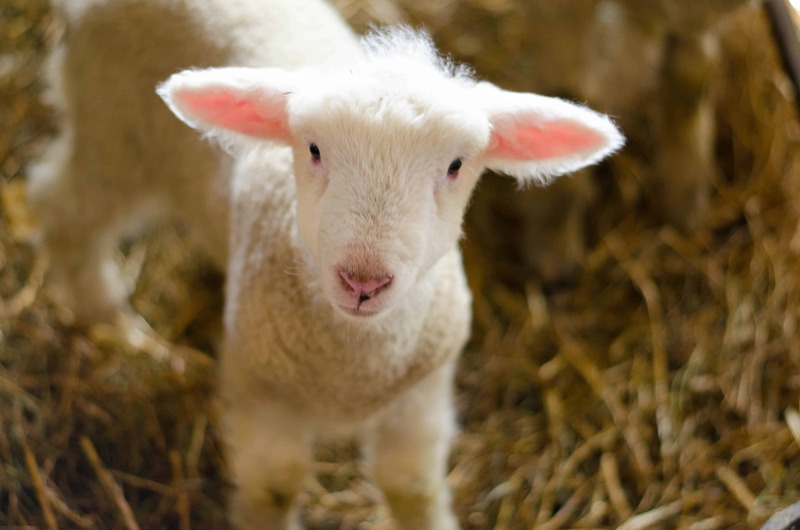 An organic wool will contain a high proportion of lanolin, which is a natural oil in the wool. Lanolin helps waterproof a wool. Wool fibers have tiny scales that occur naturally. These scales bind together and when subjected to hot water and agitation cause the wool to felt and shrink. Sometimes crocheters and knitters will create an extra large project and purposely felt it to create a dense, very warm garment (think mittens). However, sometimes wool projects felt and shrink in the wash on accident. It is a sad day when your favorite sweater shrinks and is unwearable! To prevent this, some wool yarns are treated with an acid based bath or coated with a polymer that removes the scales or prevents them from binding together. This process makes a wool “superwashed” and enables it to go into the washing machine with ease. However it does make for a heavily processed fiber. To prevent felting, a high quality wool that is not superwashed can be hand washed in warm or cool water and air-dried. Alpaca fiber is warm and softer than wool. It is also a bit fuzzier and stretches more easily. Mohair comes from the angora goat and is known for its high luster and sheen.. It can make a light, warm fabric, ideal for scarves and indoor clothing. Cashmere comes from the Kashmir goat. It is lighter than wool, yet many times warmer. Interestingly, the goat produces two coats, a coarse outer coat, unsuitable for yarn and a downy undercoat that is used in cashmere. It is very expensive because each animal only produces a few ounces each year. Silk comes from the silkworm and is the only animal fiber that does not begin as hair. When a silkworm forms its cocoon, it excretes a filament that it winds around itself. Bundles of this filament are spun into silk yarn. Silk is beautiful and commands a high price. Angora comes from the Angora rabbit. It is very lightweight yet eight times warmer than sheep wool! The Angora is harvested during the rabbits natural molting process. Plant fibers include cotton, linen and bamboo. Plant fibers are made of cellulose. Cellulose is found in all plants and absorbs water at the root and transports it to the top of the stem. When people wear plant fibers, the cellulose absorbs moisture from the body and allows it to evaporate. This draws heat away from the body. Plant fibers are said to “breathe well” and are wonderful for summer garments. They are not elastic and will not hold their shape well. They also weigh more and can make for a heavy garment. It is important to work gauge carefully when using plant fibers and to carefully plan your project, keeping in mind the benefits and features of the fiber. Cotton grows around the seeds of the cotton plant. Cotton makes lovely doilies and lace and is great for showing the texture of a stitch. It washes and dries well and does not pill. Pima and Egyptian cotton have longer fibers and are therefore softer, though more expensive. Mercerized cotton is made by adding caustic acid to the cotton and is produced in a variety of beautiful colors. Linen comes from the flax plant and is one of the oldest fibers used by humans. It is strong and durable, but stiff. Though it does soften over time with wear and washing. It is often combined with other fibers, such as wool to help maintain its silkiness. Bamboo yarn comes from bamboo grass that is spun into a fiber. It is an environmentally friendly yarn because the bamboo can be harvested without killing the plant. The yarn works up beautifully, producing a fabric with a wonderful drape. Soy yarn is relatively new to the market. It has a beautiful sheen and drape and is often blended with wool or acrylic. Synthetic types of yarn fiber include acrylic, rayon, nylon and polyester. They are easy to machine wash and dry and are great for things needing frequent washing. Synthetic fibers are also inexpensive, durable and available in a wide variety of colors. Acrylic is produced from ethylene, which is derived from oil. It is soft and warm, but not as durable and strong as natural fibers. It will pill and doesn’t hold its shape well, but will last through many launderings. Now that you know all about the types of yarn fiber, you can make better decisions on yarn for your projects. Give some thought to the project you are making. Is it a garment to be worn for years? Maybe wool or Egyptian cotton would be a good choice? Are you making a toy for a child? Well then acrylic yarn that can be washed often might be the way to go. 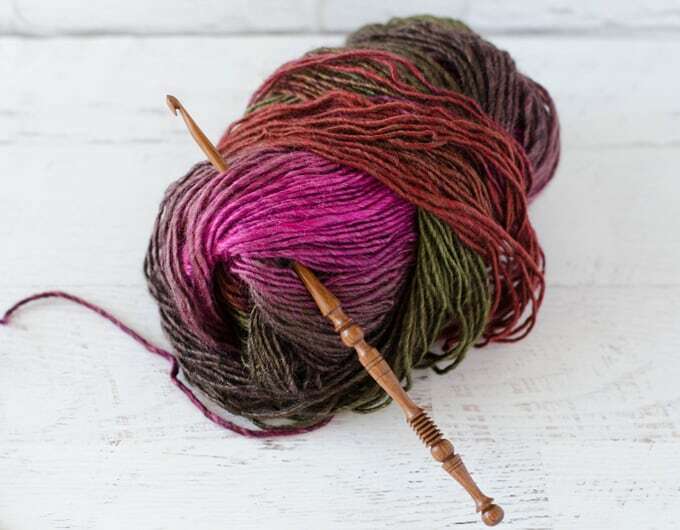 If you haven’t ventured beyond the acrylic yarn available at the chain stores, I encourage you to check out a local yarn shop to try some other types of yarn fiber unfamiliar to you. Beautiful fibers await!